Power Moller is an internally motorised conveyor roller, that can be used wherever conveying power is needed. Because the motor and gearbox are totally enclosed in a roller tube, it provides safe, quiet, clean, and space saving driving force. The product is also maintenance free as all the bearings and gearbox are factory lubricated for lifetime service. Depending on tote dimension and weight, Power Moller is normally used with one or plural free rollers. 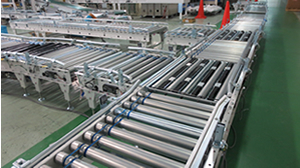 Decentralized conveyor motorization by Power Moller also ensures continued throughput, and the replacement of the unit can be easily and quickly done thanks to its spring-loaded shaft. Power Moller is available in a broad range of roller diameters and lengths, speeds, motor types including accumulation motor that can be stalled, voltages both in AC and DC, and with many different options including brake, watertight, to satisfy most of your specific automation needs. You may wonder how such compact motorised roller with less energy consumption can convey maximum 1,000kg loads. Magic, it is not. Effective use of rolling principle, it is. This may remind you of how the great stones were brought to build Egyptian pyramid in ancient time. Since its inception in 1975, the Power Moller has enjoyed continued success as a vital component for factory automation and increased productivity in every industry. Millions of Power Moller have been rolling throughout the world to automate production facility in thousands of manufacturers, including TOYOTA, Panasonic, Sony. ITOH DENKI developed the world first motorized conveyor roller named "Power Moller®" incorporating asynchronous motor in 1975. Since the products successfully contributed to automating the volume production line for video cassette recorder, the Power Moller has been widely deployed in industry. ITOH DENKI developed DC Power Moller® incorporating brushed DC motor in 1986, then in 1988 developed brushless dc motorized roller. 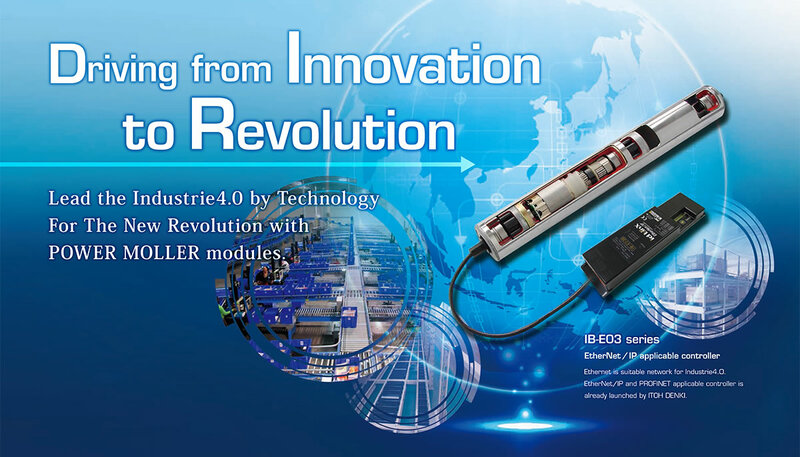 ITOH DENKI elaborated DC Power Moller® technology to complete Power Moller 24 incorporating the state of the art brushless DC motor in 1999. New range of Power Moller 24 includes the model with integral driver card. In addition, ITOH DENKI developed control intelligence including start, stop, speed variation, reversing, diagnosis, control logics embedded in its driver card. Copyright ITOH DENKI, All rights reserved.